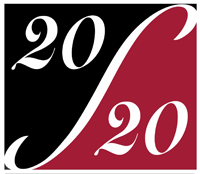 Return & Refund Policy | 20/20 Solutions, Inc. If you are dissatisfied with our service for any reason, we want to know about it and will do everything to correct the situation. Development of a custom website, APP, database, product photography, copywriting or any of our design services is governed by the development contract executed between both parties. All services we provide as a Managed Service Provider (MSP) is governed by our contract agreement executed between both parties. Please read conditions below. If all conditions are not met, 20/20 Solutions, Inc. reserves the right to refuse the return or to charge a minimum 20% restocking fee. All returned items must be in new condition, in their original unaltered box (including an intact UPC code) and must include all packing material, blank warranty cards, manuals and accessories. 20/20 can only refund the original purchase price. Shipping and handling fees are nonrefundable. 20/20 is not responsible for personal data or items left in returned merchandise. 20/20 is not responsible for any consequential or incidental damage resulting from the sale or use of any merchandise bought from us. We are responsible for the monetary value of the merchandise only. Also, claims for missing items or items damaged in transit must be received within two business days of receipt of merchandise.